Nearly 96% of all homes in one hard-hit large city are losing value. In Palm Bay, Fla., a 563,000-person metro area on the central Florida coast, it's not just lush palm trees dotting the landscape—foreclosure signs are all over. Partly to blame? The area's median home sale price has fallen by half since 2006, from $238,000 to $110,000, according to Trulia.com, an online real estate data provider. This has left many homeowners owing more on their mortgages than their homes are worth. As a result, almost 1,800 homes are in the process of being repossessed by lenders—twice as many houses as were sold in the six months between May and November. And more foreclosures are inevitable as homeowners cut their losses and walk away from their mortgages. There are already so many empty homes that the city passed an ordinance two months ago requiring lenders to identify which abandoned properties they owned. Farther south in Miami, it's a similar story. Online real estate data provider Zillow.com estimates that 96% of Miami's houses are losing value. Median sales prices were 22% lower than last year in the third quarter. 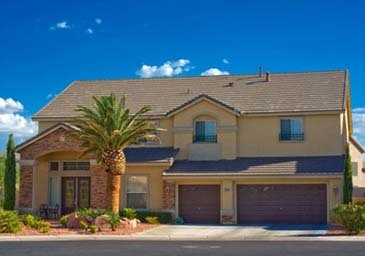 Out West, in Las Vegas, a crushing 98% of homes are losing value and foreclosures account for 45% of all transactions, according to Zillow. All three top a list of the country's top 25 worst housing markets in 2009. Provo, Utah, and Fort Lauderdale, Fla., round out the top five. To find them, we asked Moody's Economy.com to compile a list of the country's real estate markets that are furthest from recovery. Moody's looked at the country's Census-defined metro areas—including metropolitan and micropolitan statistical areas—with populations over 500,000 and prepared forecasts through 2011. They then compared them with prices in the second quarter of 2008, the latest figures available, to calculate how far prices will likely fall before reaching bottom. In Palm Bay, real estate values are expected to fall another 41.4% before bottoming late next year. Miami could be in for a similar decline, and Fort Lauderdale is forecast to drop another 30%. There are more familiar names on the worst-off list: Los Angeles and Phoenix where foreclosure signs and half-built exurbs serve as constant reminders of the real estate frenzy that lead to this crisis. In Las Vegas, where speculation moved out of the casinos and into the property market, prices have another 43% to lose, according to Moody's. In Phoenix, too many houses and too much speculation sent property prices into a tailspin two years ago. But the bottom may be in sight late this year—after another 31% drop. Tucson, Ariz., also looks like it's close to flattening out—after an estimated 33% fall by the end of next year. For other towns on our list, there's still plenty of time to get 'em while they're cold. Most of these troubled markets—including Santa Ana, Calif.,Orlando, Fla., and Jacksonville, Fla.,—won't even start to recover until next year or the year after. That's even though real estate prices, on average, across the country should hit bottom by the end of this year, according to Moody's forecasts, after an average 15% drop. It's not just the cities already facing massive foreclosures that are poised to further stumble; this year the gloom is spreading to the country's second-home markets. Many of these places were doing well until recently as retiring boomers and investors bought property where they played. But the market for second homes followed Wall Street into a deep dive last year. Because the downturn hit many of these markets late, the worst is yet to come. Just over a year ago, for example, property prices in Salt Lake City were still rising, even though they were falling just about everywhere else. By the third quarter of 2007, the median home sold for $247,000 versus $203,000 in 2006. Prices haven't fallen much yet; the median price in late 2008 was $230,000, according to the National Association of Realtors. But Salt Lake City, which is surrounded by some of the best ski resorts in the West, is just starting to feel the effects of the drop-off in second-home buying. Prices are set to fall 29% over the next two years, according to Moody's forecasts. Provo, Utah, and Boise City, Idaho, are also headed down with the drop in nearby ski home sales, says Mark Zandi, chief economist for Moody's Economy.com. Honolulu hurt by the drop in buyers from Asia and California, is beginning a long and slow descent, with real estate prices forecast to drop 31% before hitting bottom in 2011. There is another region where the worst may be to come: New York City-area metros. Housing values in Newark, N.J., could fall 26%. Likewise, Edison, N.J., is also among the mid-sized metro areas expected to see the steepest drops this year. But the worst could be over by the end of 2009 for New York's satellite cities. Manhattan, now at the epicenter of the financial crisis, is noticeably absent from the top 25 weakest markets list. So far, the city has been isolated from the popping bubbles in the rest of the country. Property prices were rising in Manhattan until early last year. Zandi believes Manhattan could be spared a steep drop. He expects a fall of around 20%. Even if big bankers lose their bonuses, "Manhattan is still supported by international demand," he says. That prediction may prove conservative. The value of new contracts signed have already dipped 15% to 20% in the fourth quarter, according to a Beige Book report from the U.S. Federal Reserve last month.